Can anticipation lead to disappointment? He worked hard all year so an annual holiday was a highly prized time to rest, relax and re-charge the batteries during those few precious weeks that were truly his own. He’d spend many an evening after work and at weekends flicking through travel brochures being lured by sumptuous photos of exotic locations that flaunted blue skies, sandy beaches and carefree days. The anticipation for 48 weeks of the year was almost too much to bear! And for the selected location, there was a big ask to live up to to supply the few weeks of perfection. We arrived through a cloud of dust to hear not the lapping of the sea but the sound of jack-hammers, cement mixers, and lorries delivering and turning. Sure, if you looked one way the beach and ancient village spilled out below the terracotta steps, but the other way… a sprawling mass of building development, with a high rise in the throes of construction was the neighbour over the villa wall. Today, research on the internet with review sections about rental properties and travel forums where you can ask “What’s it like?” means the chance of an abject surprise is now in our favour. Although one still can’t help but form preconceived images as to what one will actually see. I was recently in the south of France, staying in a charming village as traditional and picturesque as they come. But I’d read about the village where Van Gogh had lived and painted towards the end of his life, which according to the marketing hype was even more classic. 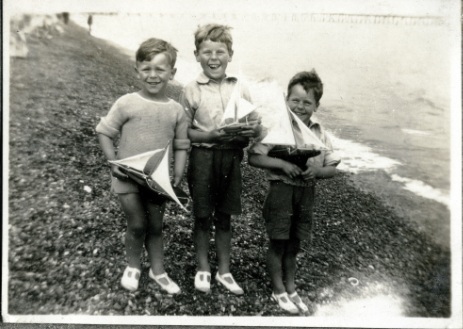 My mental image created illusional perfection – My curiosity was tweaked – I had to go. Taking my travel companions out of our way we made the journey to Saint-Rémy de Provence. It would be unfair to say Saint-Rémy de Provence wasn’t pretty, but having been staying in a small off the beaten track village in the heart of unspoilt French countryside that hadn’t been manicured for the tourists, I was sorely disappointed. I first considered, was my disappointment a question of relativity? 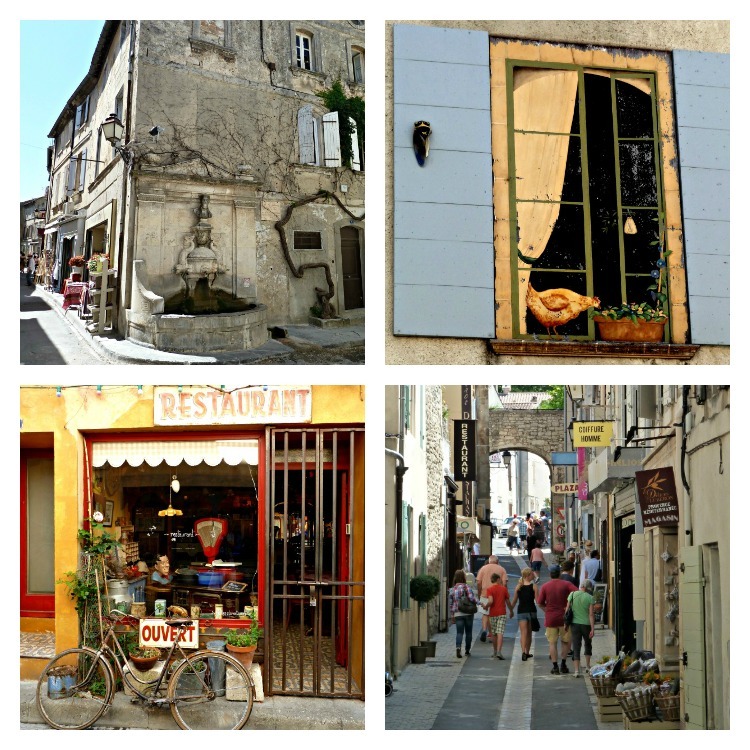 If I hadn’t already experienced true French village charm, would Saint-Rémy have sparkled a little more in reality? And then I wondered had my expectations placed it on an unrealistic pedestal it couldn’t possibly live up to? I feel in this case – neither. Contrary to my expectation that I’d see a village where I could picture and get a sense of Van Gogh walking and working, I was presented with alleyways of tourist regalia. A town desperate to make money from a famed artist who they were lucky enough (from a marketing perspective) to be able to say ‘Van Gough lived here’. It felt bland of any true character and whilst superficially ‘pretty’, sadly for me Saint-Rémy had lost its soul. 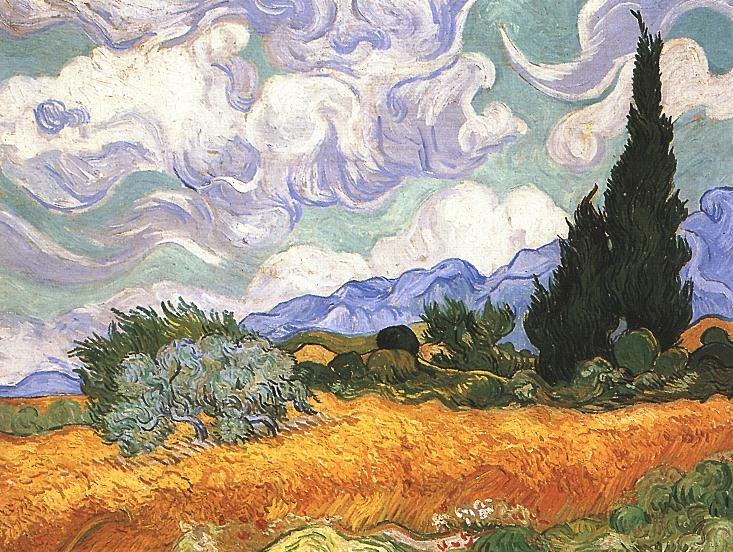 On the outskirts of the town was the asylum Van Gogh was voluntarily confined May 1889 – May 1890. 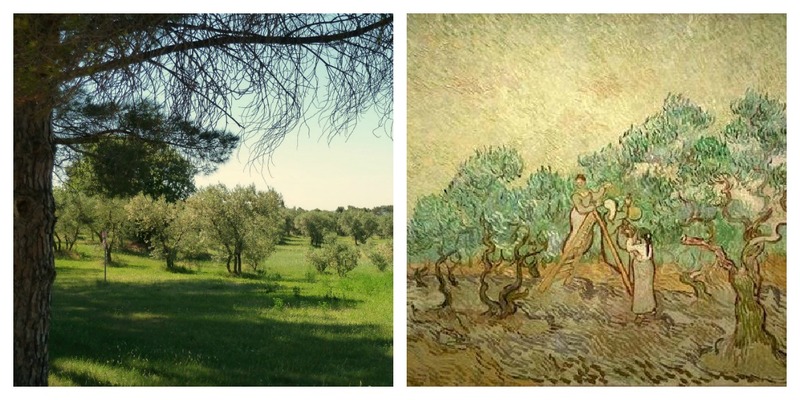 Here at least one could see and experience untainted olive groves that he had painted during the last years of his life. But when it came to seeing where he stayed there was a charge to view not his room, but the room next to it, which they’d done up (so they said) to look the same! 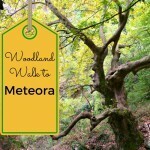 Have you been excited to visit a place and when you got there been disappointed? 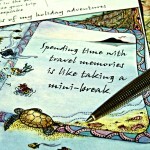 This entry was posted in Postcards from Europe, Tales of a Traveller and tagged travel_disappointments by Linda. Bookmark the permalink. We spent 4 days staying in Saint Remy in the beginning of July, where we based ourselves to see the lavender. I enjoyed Saint Remy, especially at night when all the tourists seemed to pile back into their buses and leave. But I was just disappointed yesterday by Plitvice National Park in Croatia. It didn’t live up to what I’d seen in pictures or heard. I’m really glad we only planned for 1/2 a day there! Having spent some days near Uzes, which I felt to be a living, breathing ‘genuine’ French town, I was simply disappointed that St Remy’s was catering (quite naturally but) so strongly for the tourist market. I just had this experience in Washington DC (I’m British). It just felt really soulless and definitely somewhere I wasn’t comfortable walking alone after dark. Perhaps it was just that I’d left the energy and welcome of NYC, but, however wonderful the museums, I just wasn’t feeling it. Not sure whether that would be a capital city being designed to be a parliamentary centre syndrome? Unlike other cities that evolve on their own energy, and create their own personality, it doesn’t have a true cross section of the population due to the high proportion of public servants there for work, so its a forced persona – and for my liking lacking real character! I recently visited Monkey Mia for the first time. Very pretty, lots of dolphins and so on – but WAY too regimented for me. I understand why this is so – although the intepretive centre displays the results of a study demonstrating how feeding the adults has a detrimental effect on their young. Give me the Southern Yorke Peninsula with dolphins doing a mullet round-up outside my back door any day!! 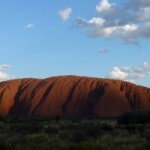 Red Nomad OZ recently posted..Aussie ABC – J is for Jabiru! We’re lucky enough to have dolphins frequently romp here in the Bay off Brisbane, just below our office window! Pingback: Do you Pre-Plan your Travels? Or, Follow your Nose? Certain places leave you cold. I suppose it is our jaded expectations, from too much travel, that fail to appreciate a town/city/holiday resort for what it is. This i found in my China travels when cities morphed into each other with their landmark temples, shrines, streets and the newer constructions. In Beijing the ‘Forbidden City’ inspite of its architectural value was one big red blob freshly painted for tourist consumption. The ‘soul’ was missing. I would have felt ripped off too Linda. I agree with Marion, Monkey Mia was a total disappointment – way too touristy. We were devastated when we went to Honolulu years ago to discover our accommodation was nothing like the pictures on the hotel’s website. It was dingy, smelly and looked out onto a car park. We immediately complained and we did eventually get upgraded, however it did spoil our holiday somewhat. It sounds as though the face of Portree will have to undergo changes to service the broader range of visitors that now venture to the Inner Hebrides.